The least talked about but most interesting component of programmatic OOH is the transformation that automated ad-serving brings, writes Posterscope's CEO. Programmatic out-of-home has been discussed and written about a great deal in recent years and Clear Channel’s plans to accelerate the trading automation of its digital inventory will obviously fuel expectations and discussion further. However, there are conflicting views about what programmatic could mean for this medium, how it might work and, most importantly, what the benefits to advertisers might be. In many of the debates, I think that the most important and exciting aspect of programmatic OOH often gets overlooked. Probably because the obvious comparison is programmatic online, discussion tends to focus on the automation of transactions and which model – Programmatic Guaranteed, Private Marketplace or RTB/Open Exchange – is likely to emerge and prevail. In my view, the answer to this in the short to medium term is Programmatic Guaranteed with each media owner pre-defining pricing by client. This is what Clear Channel announced last week. In order for a truly biddable market to be established, audience trading metrics and protocols would have to be standardised and agreed across all media owners and agencies. That’s not likely to be achieved any time soon although the UK is better-placed thanks to Route data than many international markets. Furthermore, each media owner would have to establish a complex set of pricing rules for their inventory and transfer pricing control from their long-established sales teams and methodologies to a technology platform. The online advertising market never had this legacy trading approach to overcome, but the cultural shift required for many OOH businesses will be significant. Close behind the debates about transactional models come the planning opportunities. The provision of real time availability data APIs by media owners will undoubtedly enable faster, more efficient planning by specialists and agencies and almost all the major OOH players in the UK are working to deliver this to some extent in 2017. But, for me, the least talked about but most interesting component of programmatic OOH is the transformation that automated ad-serving brings. As William Eccleshare noted in his Clear Channel presentation last week, the massive investment in digital screens that the industry has made over recent years has yet to be matched by the dramatic leap in the creative use of the medium that the investment enables. In addition to being able to buy digital OOH in incredibly focused, targeted and flexible ways, it’s already possible (via platforms like Liveposter), to serve creative content that adapts to multiple, real-time data feeds. As William Eccleshare noted in his Clear Channel presentation last week, the massive investment in digital screens that the industry has made over recent years has yet to be matched by the dramatic leap in the creative use of the medium that the investment enables. These feeds can be anything from weather to traffic flows, sales, social media trends and other business drivers. Messages can be optimised by target audience subset, by location, by time and day. Advertising content can be drawn from a pool of pre-produced creative work or can be created and edited in real time, in response to relevant data triggers in any and every site location. In a recent campaign we ran for a client, over 10,000 different creative executions were programmatically served over a two-week national campaign. This highly dynamic use of digital OOH is arguably the biggest single step forward for the OOH medium in decades. The growth of digital screens in all their shapes and sizes is important and significant but the real power comes from the programmatic ad-serving technology that is available to deliver content to those screens. It is this aspect of OOH programmatic that is capable of transforming the creative potential of the medium, of attracting new advertisers to it, of building its overall share of media spend and, most importantly, of delivering dramatically more effective campaigns. And this, far more than the programmatic trading models, is what advertisers and the agencies that represent them should focus on more. 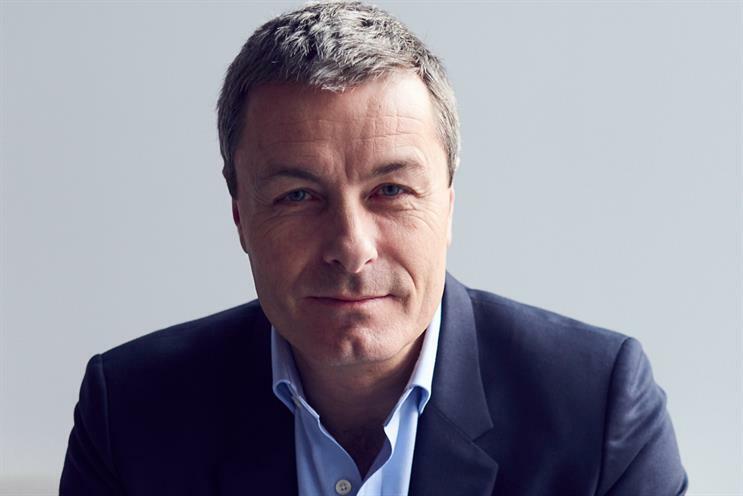 Stephen Whyte is the CEO of Posterscope UK.